Geary Avenue has a little bit of everything. From auto body shops to hydroponic outfits to restaurants to recording studios, as far as Toronto streets go, this is as diverse as it gets. Although it stretches just a short kilometre and a half west from Ossington Avenue before dead-ending somewhere between Dufferin Street and Lansdowne Avenue, in that span over 50 some odd business dot the street. In the past I've characterized the strange makeup of Geary as representative of an identity crisis, but this is anything but a bad thing. It's a street in transition — and despite recent additions, it's far too early to consider gentrification as a fait accompli. Perhaps the first signs of such a process are visible, but things move slowly here. Don't hold your breath for the collective exodus of the autoshops, but in the meantime, there's plenty to explore. 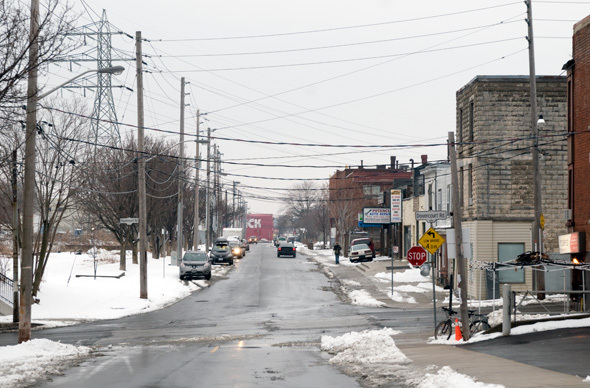 Geary can be broken into three parts: 1) the stretch between Ossington and Dovercourt, which features a mix of residential and commercial properties, 2) the main retail / commercial drag between Dovercourt and Dufferin, and 3) a semi-industrial section to the west of Dufferin. As such, the majority of the businesses highlighted below can be found between Dovercourt and Dufferin. I'm completely biased given that I live around the corner, but this might just be the friendliest bike store in Toronto. Geared to commuter cyclists first and foremost, don't let that fool you into thinking they can't do just about anything here. I won't take my bike to be serviced anywhere else. 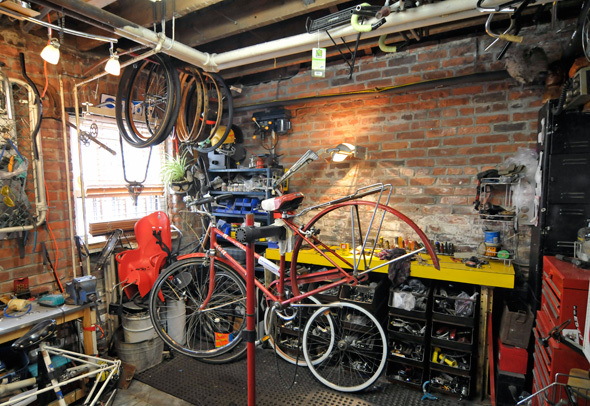 From a sales standpoint, look for a variety of used bikes but no beater death-traps. Also worthy of note is the espresso bar. Valentine pulls a pretty good shot. Photographers looking for high-end studio space might consider this sprawling 4800 square foot space tucked behind a nondescript facade just west of Dovercourt. Divided into two studio spaces (the smaller one starts at $350 per day while the larger space is $650), it probably won't attract too many starving OCAD students, but if you've got the coin, the light is fantastic. Auxiliary CrossFit is located in a 5,000 sq. ft., second-floor space just north of Geary. The gym is on the bare bones side, as you'd expect from a CrossFit gym, but it can easily accommodate up to 15 people per class. Membership rates start at $90/month for two classes per week. Virtually hidden within the warehouse-like building at 136 Geary is a hub for Toronto's airsoft community. What's that? Airsoft guns are kind of like BB guns, but use small plastic pellets instead. 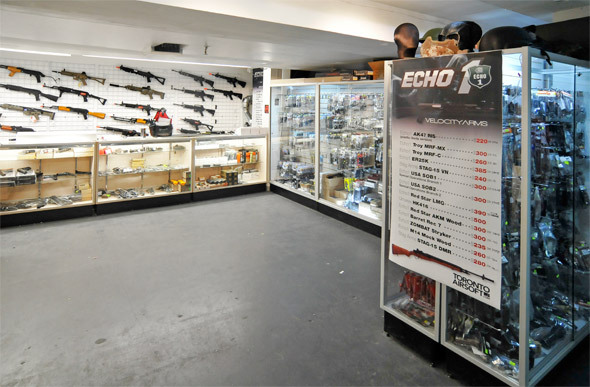 As the only retail store of its kind in the province, it's become a gathering place for enthusiasts, who liken airsoft to paintball (though obviously without the tell-tale sign that one's been hit). 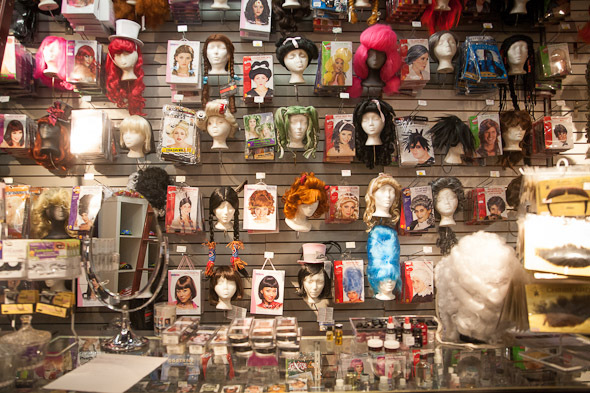 This ain't your average costume shop. Over and above the sheer variety of items on offer (the space is huge), Theatrix also does custom work, make-up service, and prides itself on going beyond Halloween cliches. A go-to for Toronto theatre productions, this place takes its costumes very seriously. Insert stoner joke here — but really you shouldn't as that's just way to predictable. What's not predictable, on the other hand, is the variety of environments in which you can get plants to grow provided that they're give the right nutrients and light. It's with the latter two that Grow It All specializes. It goes without saying that the staff are extremely knowledgeable. Newport Fish Importers sounds very much like a wholesale operation, but this Portugese fishmonger and grocery store is also oriented toward walk-in traffic. A relatively recent addition to the neighbourhood, it provides a welcome alternative to the seafood department at nearby Sobey's, which always sends me into a sort of depression when I pass by. Don't let the name or the Eiffel Tower on the sign fool you, Paris Bakery does Portuguese-style bread and treats the best. As much as I'm faithful to Nova Era, which is basically across the street, every time I try a loaf from Paris I tell myself I should stop in more often than I do. 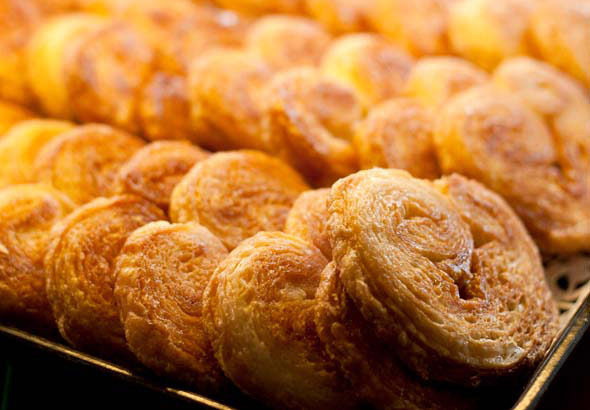 Try the pastel de nata (Portuguese custard tarts) — so good. One of a number of Nova Era's scattered about the city, this location acts as a hub of activity on Geary as locals stop in for baked goods and coffee. Perhaps the best part about Nova Era is the lunch counter where you can grab excellent toasta mista and other sandwiches. The sugar-coated doughnuts are to die for. The Monkey Vault is precisely the type of place that makes Geary Avenue a unique street. After all, where else are you going to go for parkour and street acrobatics training? One of the coolest "gyms" you'll find, the vault has some conventional strength and conditioning machines, but the fun part is the DIY foam pit and rock climbing wall. A variety of classes (for a variety of levels) are offered. Issie Cycling, named after its owner Issie Chackowicz, is a hole in the wall bike shop that's open irregular hours, but worth the visit if you're looking for qualified repair work and decently priced new bikes and accessories. Ah Kitch, if there's one place on here that would lead one to mutter the word gentrification this is it. With a room that'd be just as home on West Queen West, this hip restaurant-bar is exactly the type of establishment that gets buzz words like that rolling off people's tongues. And, to be fair, owner Bryan Jackson has put a lot of faith in the idea that this is a neighbourhood on the rise, so maybe there's something to such talk anyway. 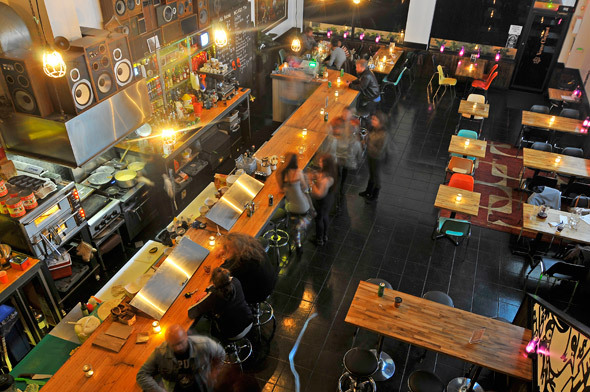 For now, this is by far the coolest bar/restaurant in the vicinity. Tucked away on the quieter side of the street beyond Dufferin, the Geary location of the Rehearsal Factory is a favourite jamming space for up and coming Toronto musicians. 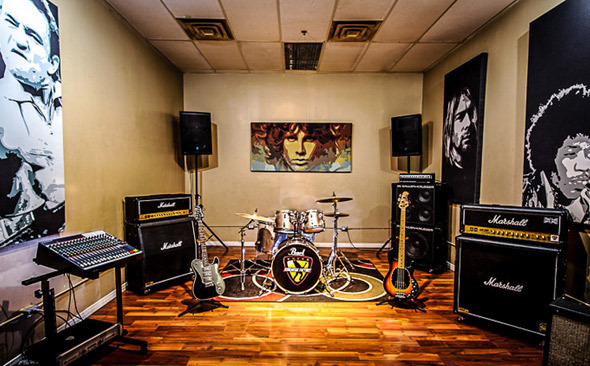 Rehearsal areas include the requisite amps and drum sets, while on-site equipment rentals are an option as well. Production facilities are also on offer. Sometimes it's cool to stand outside the place and listen to the bands work on their stuff. Get to know more Toronto streets via our Toronto Streets Pinterest board.